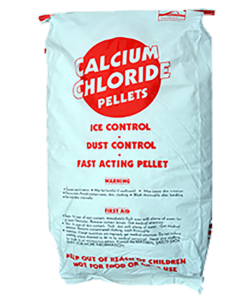 High performance, premium priced calcium chloride pellets provides fast and effective ice melt safe for use on macadam and concrete. Calcium works in a wide range of temperatures and remains effective to -25°. Performance at low temperatures and speed of an ice melter’s penetration are critical for making sidewalks safe after a storm. Calcium chloride boosts a faster melting speed and melts more ice at lower temperatures. Good ice melt blends have at least 20% calcium chloride in them. 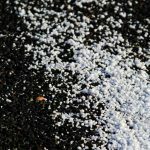 Calcium chloride is considered a safe ice melt for macadam and concrete. Available in 50 lb bags (49 bags per pallet).